Elle magazine is officially my favourite thing in the world this month!!! 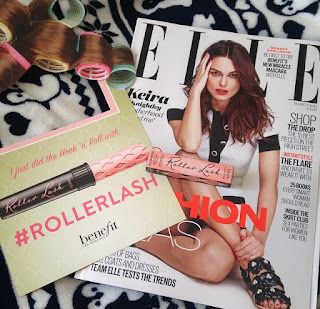 You can get the new Benefit mascara Roller Lash exclusively a month early in the March issue of Elle. This is the best news ever, I feel Elle this month will be a sellout. For only £4, it is practically a bargain as I am guessing the price for the mini Roller Lash mascara will be around £9. Benefit's They're Real mascara is one of the best mascaras I have ever tried, so when Elle announced the first place that Roller Lash mascara would be available would be in there magazine I was beyond excited. I was counting down the days until Elle's March issue came out and so happy when my housemate bought it for me. Best housemate EVER!!!! The Roller Lash brush is beyond awesome, I have said time and time again that I love plastic brushes, and this is why!! Plastic brushes are so much better at separating lashes and making them longer. The curve in the brush makes it oh so much better, better isn't the right word, fantastic!!! I have not had any problems with applying it, it glids on like a dream. Let's talk about how voluminous my lashes look.... The mascara adds lots of definition and length to my eyelashes, I am really impressed!! My lashes look so much longer, the brush really helps divide them and helps avoid clumpiness. 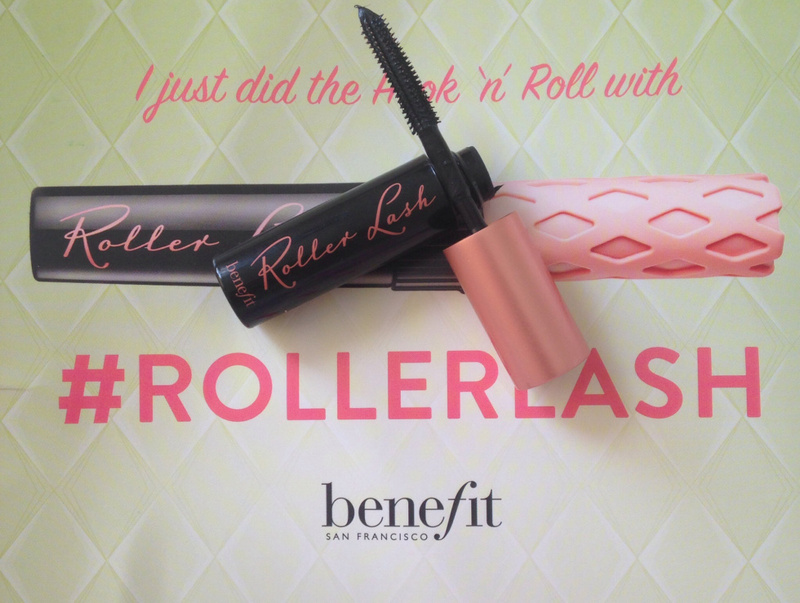 This mascara is definitely a winner in all aspects, Benefit have done amazing with their new mascara and I can see it becoming their best new selling product. Now for durability, it doesn't break off or fade throughout the day. It is a long-lasting mascara and you don't need loads of it when applying it. The packaging is so cute as well, one of the things I like so much about Benefit is that they always come up with new inventive ways to package their products. Is it better than They're Real mascara? YES!!! I have found that it is easier to remove than They're Real mascara and I love the curvy brush. This is a fantastic mascara and I am so happy that it was in Elle magazine. 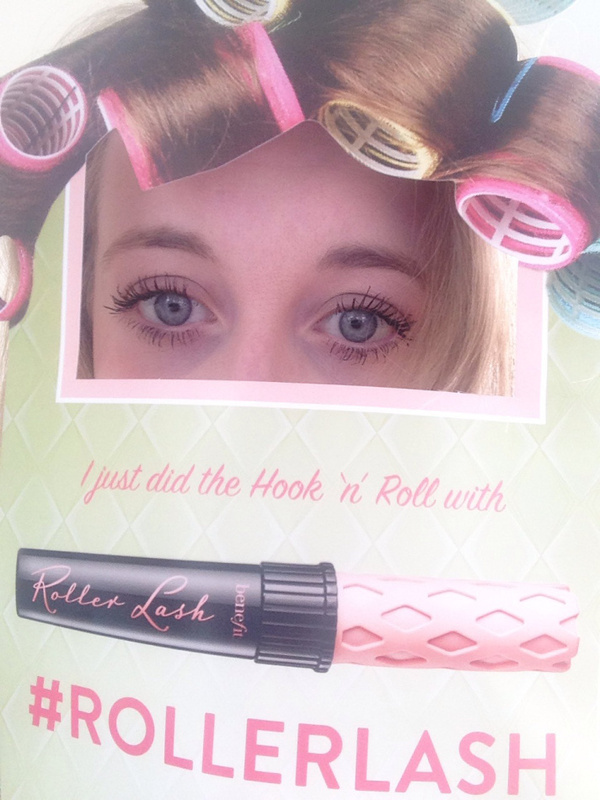 Move over They're Real, Roller Lash is my new favourite mascara and I cannot wait to see what else Benefit will come out with this year.